In addition to the General Terms, these terms and conditions govern the use of the Afrihost domain registration and hosting services. By contracting with Afrihost for the services a Client will be lawfully regarded as having agreed to their use of the services specified being governed by this Agreement. Afrihost registers domains on the Internet through the relevant governing bodies and hosts websites and related material on the Afrihost server(s) on behalf of Clients. These terms and conditions apply to the use and registration of domain names and the web hosting services offered by Afrihost. 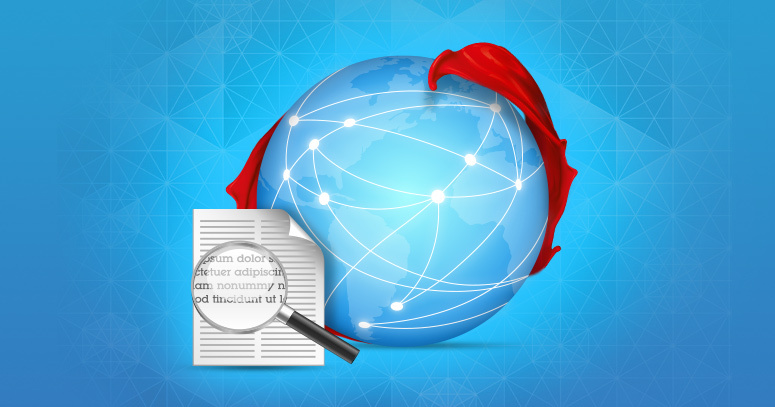 Afrihost registers domains through approved Domain Registrars, such as OpenSRS (for gTLDs). Afrihost may, at its discretion use other approved entities for registration, but in general may limit domains offered based on availability from the registrar concerned. Afrihost’s hosting and free registration is sold as a bundled package and cannot be separated, i.e. Afrihost will not pay for registration if it is not combined with any of their hosting products. The Client will be bound by the terms and conditions of the relevant domain name space (e.g. .com or .co.za) under which any domain name registered on its behalf falls, and should become familiar with them. Afrihost may post links to these terms and conditions on the Afrihost Website purely as a convenience to the Client. Where Afrihost is acting as a registrar or reseller in registering a domain name for the Client, the Client may be required to agree to further terms. Afrihost will provide the Client with a link to these terms, which are incorporated into this Agreement by reference. Afrihost will strive to ensure that registration and subsequent DNS propagation is effected in the shortest period of time. However, Afrihost cannot be held liable for any delays that may accompany the registration of domains. Initial Setup fees are non-refundable. Domain Name Registration fees constitute a once-off payment subject to certain renewal charges. Domain registration may be offered free of charge with Hosting products, depending on the nature and type of TLD (Top Level Domain). This offer is based on the assumption that the domain (and site content) will be hosted with Afrihost for a reasonable period. Afrihost reserves the right to, at their discretion, charge a parking fee where a minimum period (3 months) has not been observed on the Hosting product before downgrading to a Parking product. The fee will depend on the type of domain and applicable administration fees. Waiving such fees will be entirely at Afrihost’s sole discretion. Afrihost reserves the right to charge a domain registration fee (in arrears) for any domain name which is registered as a FREE domain with a hosting package that is cancelled (or the domain is transferred) within 6 months of sign up. Such fee(s) will be invoiced exclusively at Afrihost’s discretion, and no leniency extended to Clients on previous occasions will in any way prejudice Afrihost’s right to enforce this clause. Such fees must be settled before any domain transfer can be effected with the applicable registrar. Afrihost will not tolerate any abuse of their free registration policy. Any such abuse will result in the immediate termination of accounts concerned and Service Agreement, as well as possible further action to recover applicable costs from the Client. 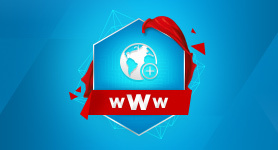 Afrihost only offers Free Domain registration for “.co.za” domains with new hosting package signups, or Domain Parking offered as a “Free Gift” in ClientZone. Other TLDs or gTLDs are not included in the Free Domain Registration offer. Afrihost will register domains as per the clauses above, but will not be responsible for any further costs in relation to the domain, such as Annual Renewal Fees, Redemption fees or any other fees which may become payable in respect of domain ownership. Clients are exclusively responsible for such fees, and Afrihost will not enter into any disputes resulting from non-payment. Should such domains be automatically renewed, Clients will be billed for such renewal without exception. Clients not wanting to continue with a specific domain must ensure that cancellation is effected before any such renewal is actioned by Afrihost with the registrar concerned. Thereafter, the Client is solely responsible for ensuring that the domain is renewed at the end of that period, and subsequent periods, until the domain is either cancelled or transferred by the client. This includes domains which have been set to auto-renew. Should the auto-renewal process fail, the onus will be on the client to notify Afrihost of the failure. Afrihost will endeavour to send a courtesy reminder to the Client, such as an SMS, email, or a ClientZone or Afrihost App notification. Such reminders in no way transfer responsibility to Afrihost for ensuring that the domain is renewed. Should this reminder fail to reach the Client, or should the reminder fail to be issued, this will not consitute a breach of this agreement, as this is solely performed as a courtesy. Clients registering domains must take note of the registration date, and ensure that renewal is effected. Clients may manually renew domains by accepting renewal in ClientZone, or by selecting Auto-Renewal in ClientZone and ensuring that this is effected by Afrihost. Afrihost will transfer existing (registered) domains from existing hosting providers to Afrihost's DNS and web servers. Upon requesting the transfer, and accepting the relevant Service Terms, the Client explicitly agrees that it has the authority to do so, being the registrant of the domain in question, or having been nominated as an agent of the registrant. The Client thereby indemnifies Afrihost from any disputes regarding ownership of the domain and any claims as a result thereof. Cancellation will be dealt with as per the General Terms. Cancellation, by the Client or Afrihost, will result in any data being permanently removed from Afrihost’s servers. Clients are solely responsible for ensuring that backups are made of web content and email data, or any other data stored on their hosting space. Afrihost will not be liable for loss of data, or be obliged to provide any such data once the hosting contract term has expired. Any backups made by Afrihost will be made for legal purposes and not for data retention purposes and will not necessarily be made available to Clients on request. Payment will be dealt with as per the General Terms. In the case of a website being suspended due to non-payment a reconnection fee will be payable before the website is unsuspended. An additional waiting period of up to 72 hours may be imposed in the case of multiple payment bounces. Afrihost has not and does not conduct pre-registration searches in respect of the Client's use and registration of its selected Domain Name/s and is therefore not obliged to either advise the Domain Name client about possible conflicting third party rights or to take steps to ensure against possible disputes concerning a third party's intellectual property or other rights. Afrihost reserves the right to disclose pertinent information to Registrars for public disclosure as per the Terms and Conditions of the Registrar. Afrihost will not be held liable for any claims of infringement of privacy by fulfilling such registration conditions. This forms a regulatory requirement by the registrar, and there a Service Agreement requirement to the Client. The Client indemnifies Afrihost by warranting that the use or registration of the Domain Name by a Client does not interfere with nor infringe the rights of any third party in any jurisdiction with respect to trademark, service mark, tradename, company name, close corporation name, copyright nor any other intellectual property right, and that Client has the right to use the Domain Name as requested. Afrihost cannot act as an arbiter of disputes arising out of the registration and use of Domain Names. At the same time, Clients acknowledge that Afrihost may be presented with evidence that a Domain Name registered by a Client violates the rights of a third party. In such instance Afrihost shall be allowed to provide a complainant with the Client's name and address and all further communication will exclude Afrihost and Afrihost will have no further obligations to the Client. In such instance the Client shall be entitled to continue using the Domain Name registered for the Client by Afrihost until a court or other body with jurisdiction directs otherwise. The ZACR policy indicates that the registrant contact details has to be updated to the legitimate beneficiary of the domain which would be the domain owner and not the reseller. The registrant’s designated email address is accurately identified on the domain name record where prescribed. 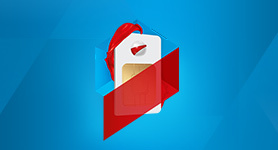 Afrihost does NOT provide SMTP mail services by default with shared hosting packages. Afrihost reserves the right to suggest suitable alternatives to the Client and / or charge for excessive traffic or system resources as it deems necessary, at its sole discretion. Excessive traffic or use of system resources will be determined as set out in the Acceptable Use Policy. Afrihost reserves the right to move a website between web servers and Internet backbones, both within South Africa and internationally as it deems necessary. If a Client moves in excess of their monthly web traffic allocation, then the Client will be contacted and various options will be presented. Afrihost reserves the right (but does not assume any obligation) to inspect the contents of data that the Client transmits, receives or stores on an Afrihost Server to ensure compliance with this Agreement, Afrihost’s AUP, or any applicable laws regulations or codes of practice. The Client must immediately and adequately respond to a denial of service attack (DOS / DDOS). If the Client’s facilities are targeted by a DOS attack that affects other network users, the Client’s Service will be suspended. Clients are solely responsible for backing up their data and Afrihost strongly encourages ALL Hosting Clients to do so as frequently and completely as possible. Afrihost will not be liable for any data loss or any other losses or damages related to backups or data recovery without exception. Afrihost may, in some instances, offer a separate backup service in conjunction with dedicated hosting, and will make such backups available to Clients on request as and when they are available. However, Afrihost does not warrant or guarantee the availability, completeness or “up to date” status of such backups. Clients are ultimately responsible for their own data, and Afrihost strongly encourages such Clients to continue to make their own backups as frequently and completely as possible to ensure that they have recourse in the event of any failure. Afrihost also cannot guarantee the condition or fitness of any backups provided. Such backups are provided "as is" and are used at the Client’s own risk and discretion - whether restored by Afrihost by instruction from Clients or by Clients themselves. Afrihost will not be liable for any losses or damages relating to any incidents arising out of such backups being provided (or not provided) to Clients on request. Afrihost provides servers to Clients for the purposes of their hosting needs. However ownership of physical hardware rests solely with Afrihost at all times. Clients may not make any claim to hardware deployed for their hosting, and may not have access to Afrihost property, hardware or hosting infrastructure (such as data centres) without prior consent, which must be obtained by written application with a minimum of 24 hours notice. Afrihost, at its discretion, may refuse such requests within reason. Afrihost reserves the right to manage the cloud environment at its discretion for the overall benefit of cloud hosted Clients. Any virtual machine which Afrihost deems at its sole discretion to have a negative effect on the environment may be powered down or suspended. Afrihost deploys all new Cloud Servers with HyperV tools (VMadditions, LIS) pre-loaded. VMadditions is integral to the smooth running of virtual servers, including managing resources and smooth and safe rebooting. VMadditions must be running at all times, as shutting it down will severely affect the performance of the server, and efficiency of the core controllers i.e. affecting other clients’ virtual servers. Afrihost strictly forbids the creation of nested VM's, or virtual instances within a virtual server. This severely degrades overall performance and will be treated as a violation of Afrihost’s AUP and Terms & Conditions (contrary to the intended use of the product). Afrihost also strictly forbids any misuse of shared or cloud resources, such as Ram Disks (use RAM memory as storage disk space), which abuses resources and compromises the integrity of the cloud environment. Afrihost may also, at its discretion, restrict server to limited IOPS (Input Output Operations Per Second) where a Client’s use of available virtual resources is negatively affecting the overall environment. Afrihost reserves the right to move a Cloud server between our virtual environments and Internet backbones, both within South Africa and internationally as it deems necessary. Afrihost guarantees that its hosting services will attain 100% availability, subject to the following. The 100% website uptime guarantee is applicable only if the web server on which a Client's web hosting service resides crashes or goes down at an unscheduled time. This guarantee is not valid if there is any network problem between the Client and the web server which prevents the Client from seeing the web server, for instance. If the Client's ISP's link to the respective data centre goes down or is faulty, but the web server Afrihost hosts is still up, Afrihost is not responsible for the Client not being able to reach their website. Afrihost is not responsible if any third party operated network or service experiences problems and outages (i.e. all network infrastructure and links, Client's internet connection, firewall service managed by external parties). If the applicable web server is up and running at all times then the website will be deemed to have achieved 100% uptime. The 100% uptime guarantee does not apply to any scheduled downtime for maintenance of any of the Afrihost web servers. If there is scheduled maintenance to be done the Client will be notified at least 24 hours in advance. The scheduled maintenance will always be done after hours (based on Central African Time (CAT)) and the web server downtime will be kept to a minimum. 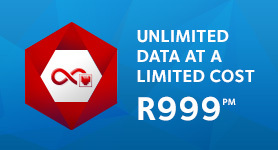 The 100% uptime guarantee does not apply if Afrihost suspends the Client’s Service as allowed in terms of this Agreement. 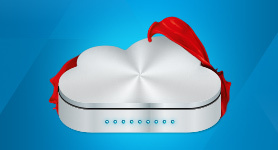 Disputes arising out of the Uptime Guarantee must be submitted in writing and claims may not exceed fees paid (either monthly or on a pro-rata basis) to Afrihost for services not received during downtime. No direct or indirect losses or damages resulting from downtime may be claimed. Service Level commitments will also be taken into account when reviewing disputes. Where agreed provisions have been met, such disputes will be dismissed. The Services provide access to the internet, which is subject to bandwidth constraints, system failures and all manner of other factors that may impact on the Client’s access, for which Afrihost accepts no responsibility. 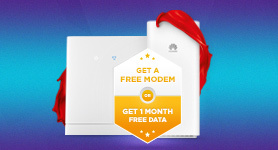 Afrihost will exercise no control whatsoever over the content of the material hosted on, or the information passing through the Afrihost network and in no way moderates such content. Clients expressly agree that use of Afrihost's Server(s) and Services are at the Client's sole risk. Afrihost provides a spam and virus filtering system to protect Clients from unsolicited mail and viruses. The Client acknowledges that this system might incorrectly identify a valid message as spam or as a virus and consequently this message might not be delivered to the Client. The Client acknowledges and agrees that Afrihost shall without limitation have no responsibility for, or liability in respect of any data lost as a result of this system. Afrihost reserves the right to examine incoming or outgoing mail to the extent necessary to determine if it is classified as spam or malicious. Webmail and other web-based email services made available by Afrihost are provided on an "as is" basis without representations, warranties or conditions of any kind, and the Client acknowledges and agrees that Afrihost shall have no responsibility for, or liability in respect of, any aspect of the webmail services, including without limitation for any lost or damaged data or any acts or omissions of Afrihost. As webmail storage space is limited, some webmail messages may not be processed due to space constraints or message limitations. Individual mail sent to the Client's POP3/IMAP box or forwarded to the Client's existing email address may be limited to 3000kB in size each. In terms of section 75 of the Electronic Communications and Transactions Act ("the ECT Act") the Internet Service Providers' Association (ISPA) can instruct Afrihost to perform a site takedown upon receipt of notification of infringements as defined in Section 77 of the Act. Afrihost makes no claim to the intellectual property (such as data) of Clients hosted on their servers. However, all equipment remains the property of Afrihost and retention of data does not directly or indirectly give ownership of Afrihost hardware to Clients. Afrihost will issue IP addresses to dedicated servers or to other hosting servers, either as part of the standard product, or upon request (subject to applicable fees). IP addresses will be assigned to Clients at Afrihost’s discretion and on a first come first serve basis. Afrihost will be responsible for updates to Operating Systems and Shared Libraries on Shared Hosting Servers. Afrihost will only effect software updates to Operating Systems on Managed Dedicated Servers (including cloud servers). Afrihost will not effect other updates on Managed or UnManaged servers, as this is not part of the service offered. 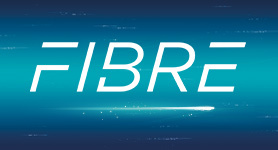 Afrihost will not be liable for any loss or damage, interruption of business, or any indirect, special, incidental, or consequential damages of any kind (including lost profits), regardless of the form of action, whether in contract, delict, or otherwise which may be suffered as a result of or which may be attributable, directly or indirectly, to the use and/or registration of the Client's selected domain names/s OR ANY ACTION TAKEN BY AFRIHOST IN RESPONSE TO THE ABUSE OF THE DOMAIN REGISTRATION SERVICES WHICH IT OFFERS. 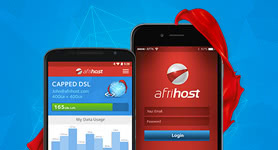 Afrihost will not be liable for any indirect or consequential loss, damage, cost or expense of any kind, irrespective of how such damage or loss was caused, whether arising under contract, delict or otherwise, including, and not limited to, data loss or corruption, loss of profits, contracts, operation time and goodwill. Neither Afrihost, its employees, affiliates, agents, third party information providers, merchants, licensers or the like, warrant that Afrihost's Server service will not be interrupted or error-free; nor do they make any warranty as to the results that may be obtained from the use of the Server service or as to the accuracy, reliability or content of any information service or merchandise contained in or provided through the Afrihost Server service, unless otherwise expressly stated in this Agreement. Afrihost expressly limits its liability to the Client for damages suffered due to any non-accessibility time or other down time to the pro-rata monthly charge during the system unavailability. Afrihost specifically denies any responsibilities for any damages arising as a consequence of such unavailability. Afrihost is not responsible if an external company network and firewall is setup to block access to services Afrihost provides. If a Client's network is setup to block certain ports or web addresses that compromise the services Afrihost provides it is the Client's responsibility to ensure that their network configurations are changed as necessary. Clients also hereby indemnify Afrihost against any 3rd party claims against themselves as resellers or services provided to the public or privately. Clients will be solely liable to external parties for losses and may, in no way, petition Afrihost to share or cover such losses or liability, either directly or indirectly. Afrihost is also indemnified from direct claims from Clients for losses incurred due to 3rd party actions or claims. These terms were last updated 15 Feb, 2019. You can view other versions below.